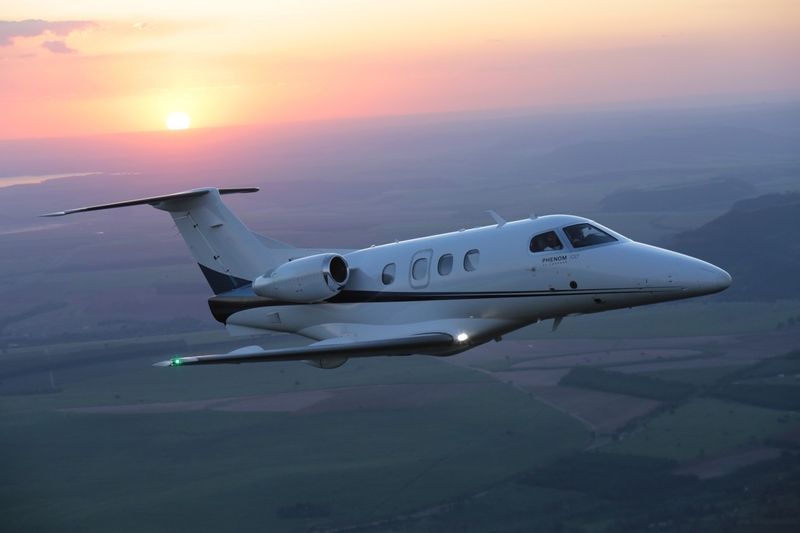 Embraer redefined the "very-light jet" segment with its introduction of the Phenom 100, and today this six-seat aircraft is one of the most popular entries in the segment. Two Pratt & Whitney Canada PW617F-E engines provide thrust for takeoff of 1,695 pounds each, and utilize full authority digital electronic control (FADEC) for optimal efficiency and operational simplicity. Despite its smaller size and single-pilot capability, the Phenom 100 is competitive with larger private jets in performance and space, with a high-speed cruise speed of 380 knots, a comfortable range of 1,160 nautical miles, and the ability to climb to 37,000 feet in just 23 minutes. Inside, the Phenom 100's Embraer Prodigy all-glass avionics suite places all aircraft monitoring, situational awareness and flight-planning tools at the pilot's fingertips. For detailed specifications and photos of ALL On Market Embraer Phenom 100, please complete the form below.